Happy Halloween. 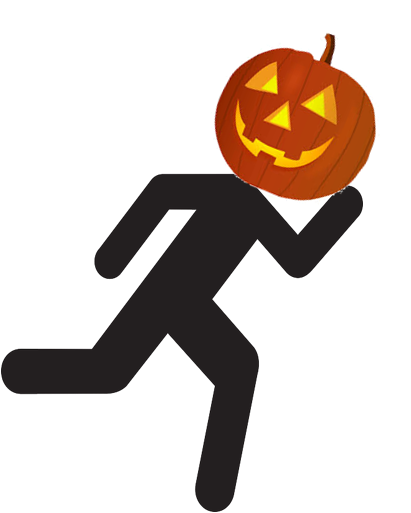 It's hard top be spooky when you go out trick or treating at noon, but I saw a lot of little witches and goblins during today's mid-day run. We have weekend visitors and I delayed my workout so I could spend time with our guests this morning. It may have been the late start, but this was possibly my worst run of the year. More on that in a bit. I had hopes of covering close to 20 miles this week like I typically did a couple of years ago. My vacation day on Wednesday got me off to a good start and I added to that on Friday morning. Since I work from home most Fridays, I use the time I normally commute to get in my miles. That system had been working well until one of my work colleagues decided that early Friday morning was the perfect time to reach me. In those cases, I've either let the call go to voice mail or kept it very short. I was about a mile into my run yesterday when I heard the phone ring. I almost ignored it, but once I saw who it was, I knew I needed to answer. Ten minutes later was on my way, although my momentum was lost and a new work issue was on my mind. Today was a different story. I wasn't feeling my best throughout the morning and hoped my energy would return by the time I was ready to hit the road. I got off to a slow start as I left my house, so I figured I'd keep it easy. I could tell right away that I wouldn't be up for my targeted five miles but hoped I'd gain strength throughout the run. Instead, I felt increasingly fatigued and even reached a point where I wanted to stop. Although I only covered a little more than three miles, the run felt endless. I was thrilled when I finally reached my driveway. The run was a disaster, but at least I got it done. I looked forward to a relaxing afternoon that eventually gave way to a house full of Halloween-partying teenagers. It's been a noisy evening. Tomorrow is a big day for two of my friends, but for different reasons. 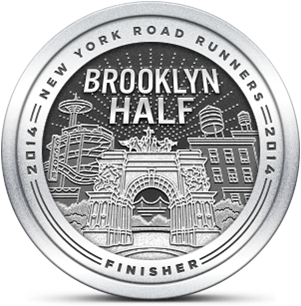 KWL and his wife will be running the NYC marathon and I'm wishing them perfect race conditions. Runsketeer SIOR will be celebrating yet another birthday (she's quite elderly) and plans to watch the marathon from her favorite spot in Queens. I'm hoping that tomorrow's run goes better than today's. It could hardly go worse. oh boy. Have you just opened a can of worms..
Have you ever seen that movie "Pumpkinhead"? No. Is the star as adorable as the one I made? It's a horror movie so yes.